For a simple prosciutto salad that makes a pleasing bite with a nutrient boost, here’s the one. This plate combines dried, fresh and cooked ingredients to delight the eye and palate. Assemble it the day before you plan to serve it, and toss with good quality extra virgin olive oil and red wine vinegar just before eating to keep it crisp. Sprinkle with fresh pepper, if desired. 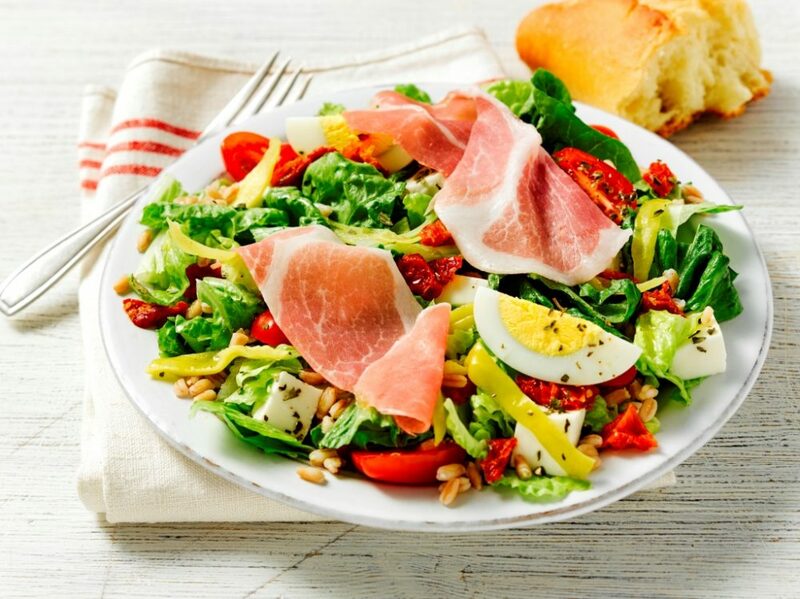 The payoff is a prosciutto salad that pops with each bite! In a large bowl combine all ingredients except eggs and Prosciutto di Parma; toss ingredients. Place on a serving platter. Top with eggs and Prosciutto di Parma. Sprinkle with additional freshly ground black pepper, if desired. We’d love to hear your thoughts, ideas and comments on this recipe.